Pressurized walls NYC is located in Manhattan but serves all of New York City. We are a company that exclusively builds pressurized temporary walls. We inexpensively turn your existing space into an additional bedroom, office, gym or even nursery through the use of our advanced tension system. We can build pressurized walls of any shape or size, including L shapes, T shapes, or even a custom temporary wall that fits to your specifications. In addition, we can create multiple size windows, various doors, soundproof pressurized walls, free standing walls, bookcase walls, and much more, giving you extreme flexibility when it comes to re-modeling your apartment or residential space. Extremely professional interaction with both Jon and his crew. I'm pretty sure the apartment was cleaner after they were done with work. Everyone was very respectful and accommodating towards our twins and nanny and they even put on big smiles for doing such a tough job which was great to see. It was an unbelievable value considering how expensive our rent is. I found Pressurized Walls NYC on Google and soon after decided to use them. Well, they were beyond my expectations and I am now sitting in a gorgeous new bedroom and am saving a ton on rent. They were patient, understanding and innovative with ideas the entire way. They are also the most reasonably priced company I found. I would highly suggest and recommend them to anyone looking for a great Pressurized wall company! These contractors are awesome!!! 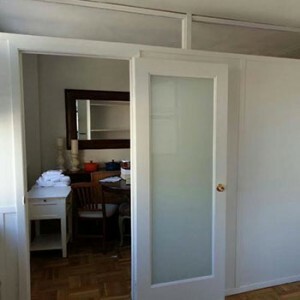 I recently moved to NYC from Texas.Pressurized Walls NYC did an excellent job at turning my one bedroom into a two bedroom all the while letting me afford my amazing new apartment overlooking the Hudson.They were incredibly helpful and even offer free removal which is hard to come by. I wouldn't hesistate for a second to use them again. We don’t lease our temporary pressurized walls, which means there won’t be any surprise hidden fees or additional cost for you. We remove your pressurized wall when you change locations or want your space back, leaving no damage to the building. 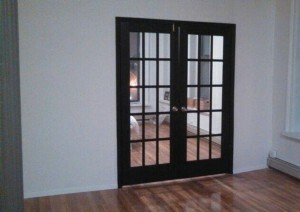 Pressurized Walls NYC guarantee the best price you have been quoted on the market. With unlimited possibilities and endless options of pressurized walls nyc, you’re free to create the beautiful space you’ve always dreamed of.